This week we’ve put another one of our top-selling product ranges under the spotlight, looking at the features and benefits of the keyless entry door locks in the range and identifying some applications where the locks are suitable for use. Electronic locks in the CL4000 range offer a range of different functions, providing the user with convenient access control and good value for money. The range is also the only one of ours that includes a push-button door lock for interior glass doors. The CL4010 is an electronic tubular mortice lock, available with either a lever or knob handle. The CL4020 is an electronic euro profile mortice lock with a double cylinder to control the deadbolt and to retract the latch bolt. 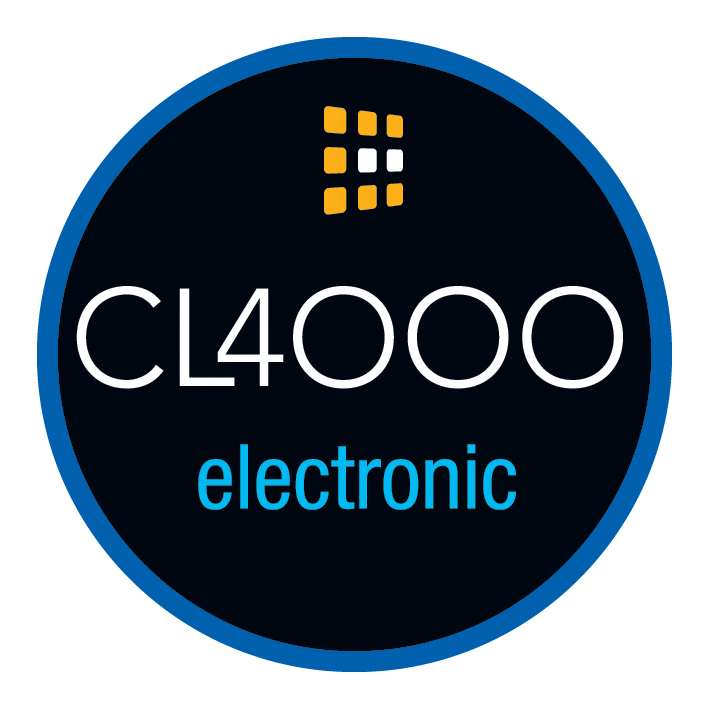 The CL4000 is an electronic patch door lock that fits existing ‘Rondo’ type door preparations, suitable for in-swinging glass doors. 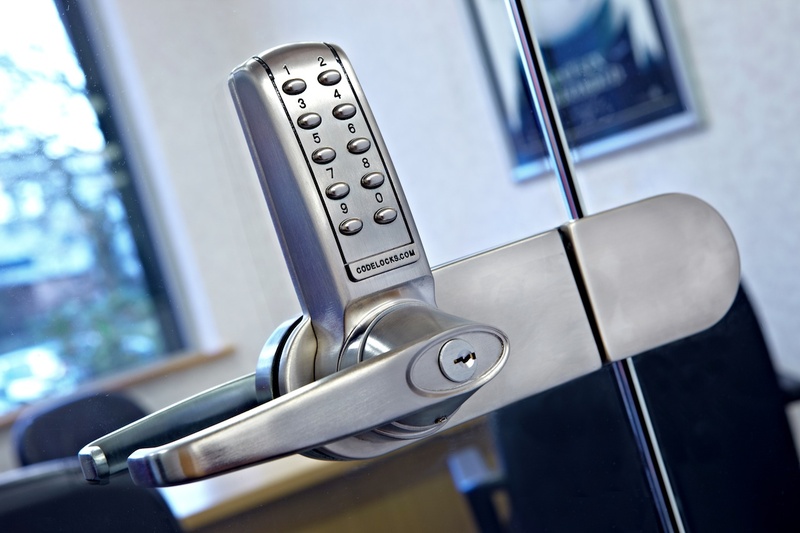 The introduction of a keypad lock for glass doors was in direct response to customer demand. Businesses with smart modern interiors often seek to control access to meeting rooms and offices with glass doors. The CL4000GD is our first electronic patch door lock especially designed for this purpose. The glass door lock fits existing Rondo type glass door preparations. It is supplied, as standard, with a flat strike plate for fitting to solid doorframes. If you need to fit the lock to a glass door with a glass side panel, then we offer a patch strike box that you can buy separately. Locks in the CL4000 range do not have to be taken off the door for the access codes to be changed. The ability to programme the lock in situ avoids the disruption of having the door out of use for any length of time. As well as being convenient, this can also represent a significant time saving, especially in buildings where there are lots of digital locks to maintain, like a hospital or university. Having access through the keypad negates the need for users to carry a key. However, certain staff members like maintenance or cleaning staff often need access to all areas, and remembering the codes for every single digital lock may be tricky, especially if there are lots of them. The CL4000 range features a key override facility that can help in this situation. Rather than having to remember all the codes, employees can access the lock manually with a key. As an option, locks in the CL4000 range can also be ‘keyed alike’, so that employees need only carry one key to access all the locks in a building. With full-size lever handles these low-to-medium-duty locks are suitable for environments where moderate numbers of people need to gain access through a door. The CL4010 can also be purchased with a knob handle on the stainless steel model. The design is stylish and contemporary. Locks in the CL4000 range are available in either stainless or brushed steel and polished brass. To keep the locks looking good, they are coated with a physical vapour deposition (PVD) finish making them hardwearing and easy to look after. For detailed product specifications, installation and programming guides for coded locks in the CL4000 range, visit our website or call 0800 393405.